After a powerful and positive response from out participants in Melbourne, I am excited to be taking this transformative workshop ‘on the road’ with my friend and colleague Carol Vale. Carol is a Dunghutti woman from New South Wales, founder and Director of Murawin Consulting, together we are committed to supporting a new way forward for Indigenous and non-Indigenous Australians. Working Together Way provides an opportunity to reflect on the barriers and bridges for working across cultures,histories and generations. In the spirit of Makarrata we provide a safe place for the courage,humility, stories and truth telling that help us to build a new way forward. This is a workshop for anyone who wants to build their capacity to work interculturally and actively contribute to a strong,inclusive and proud future. Our approach is based on peer learning and respect for the knowledge and experience of all participants. ♥ Reflect on our own cultural strengths and blind spots. ♥ Identify what enables us to engage and work effectively in the spirit of Makarrata. ♥ Lay a path for Working Together Ways. Ahh! The steam and ferment that is Singapore. Global melting pot, food mecca and playground for Asia. I have just returned from facilitating professional development workshops with my peers from across Asia and Oceania – what a wonderful experience. to explore and test ideas with others who work in different contexts and bring diverse cultural perspectives to their understanding of how groups work. The workshops provided the opportunity to explore and reflect on the aspects of our selves that we draw on when we work with groups. This kind of reflection requires courage and discipline to dive beneath the surface where the water can get murky and often we can’t even see in front of our face. But the rewards are there if you can sit with the discomfort of not always knowing the answers immediately and grappling with both the familiar and the less-familiar aspects of yourself. For many participants by the end of the session there was a sense of satisfaction that they had ‘come home’ to them selves. For some this was identifying and accepting their unique style and approach, for others the opportunity to take the next step in developing confidence in their facilitation and for some greater clarity about their own values and strengths as a facilitator. My own learnings relate to the importance of on-going self-reflection to continue to check and re-calibrate our work against our values. I really saw the value of this in a group of people who were willing to ask challenging questions of themselves and each other and use their own knowledge and experience to strengthen their capacity. What is your own process for self-reflection? What peer networks support you in your professional growth? Each year we gather as a network of peers, all with an interest in working with groups. There is such a generous spirit as people share their learnings and experience with each other. This year the Australasian Facilitators Network will meet for the first time in Alice Springs from 11-12th September. There is a real sense of excitement about going to the heart of Australia to get to the heart of what really matters in facilitation! The theme for this year’s conference is ‘The Heart of Facilitation‘. Our Vision is to provide: A memorable and dynamic conference that connects our AFN community and deepens our work including how we work interculturally as facilitators. The cost of the conference is deliberately kept as affordable as possible and this year’s AFN Conference will provide the great value and great experiences! To honour a popular AFN tradition there will be a number of cultural activities with opportunities to eat, dance and tell stories. This is included in the cost of attending the conference! Join us at the Kent Hotel on Monday April 28th from 6.00pm as Henry Fowkes brings all his energy and enthusiam to busting open some of the myths about working with young people. How do we deal with issues such as power, empathy and respect? What can you learn from your 16 year old self? The VFN is a great peer learning network and welcomes all who work with groups to share and develop their facilitation skills and understanding. No RSVP required – retro dress if you feel so inclined! 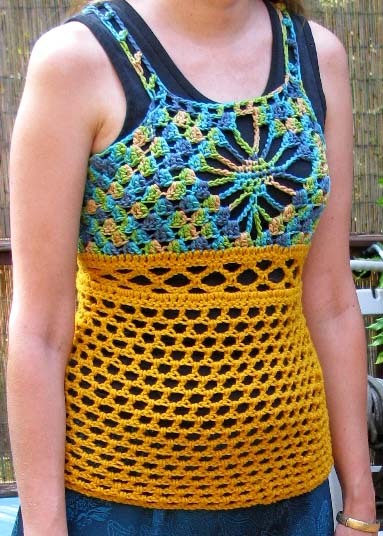 A actually still fit my crochet tank top circa 1975 – not sure if that is a good or a bad thing. Our professional gatherings just keep getting juicier! Come and join us at the renovated George Hotel (opposite South Melbourne Market) on $10 burger night as Anneli Blundell supports us to explore our 'below consiousness drivers'.